The United Nations predicts two-thirds of the global population will live in cities by 2050, making efficient, clean and safe cities a top priority for many urban planners and engineers. With technological advances leaping forward, forging new ways to improve efficiencies and reduce emissions and waste, entrepreneurs and engineers alike are dreaming new ways to make cities smarter, including making self-aware, self-improving buildings, transportation and fields. One such team is TZOA. TZOA’s innovative team is dedicated to improving indoor air quality and HVAC efficiency with Haven, an IoT product that uses machine learning and artificial intelligence to empower residential users with the ability to control their own environment. In line with TZOA’s smart city solution, the company’s Gastown-located R&D centre is housed in a heritage building that has since been transformed into a smart, experimental lab. As TZOA moves into commercial applications, its team has partnered with the City of Vancouver through the Vancouver Economic Commission’s Green & Digital Demonstration Program. Through this collaboration, they will install their latest product in three City of Vancouver buildings to in a pilot for the marketplace. To mark the occasion, VEC had the opportunity to sit down with CEO & Founder Kevin R. Hart to chat about TZOA and the product Haven’s journey, which is about to go into the pilot stage. 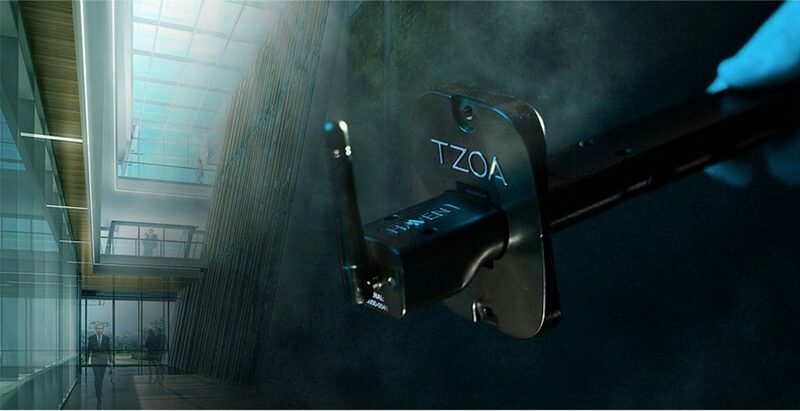 TZOA provides Healthy Environments as a Service. VEC: Hello Kevin, thank you for taking the time to chat with us about TZOA and Haven today. Could I get you to give us the elevator pitch on both? What is Haven and what problem does it solve? Kevin: Hi Ingrid. I was shocked to learn that on average we spend around 90% of our time indoors in spaces that are pleasantly heated or cooled for our comfort; however, as a result, these spaces often consume a lot of energy and have potentially harmful air pollution levels. TZOA aims to be the largest provider of easy solutions to help make the built environment energy efficient, healthy, and comfortable. VEC: We definitely spend about 90% of our time indoors at work but hearing that is still shocking. What is Haven and how does it help TZOA achieve this goal? Kevin: Our key product Haven uses sensors to detect multiple indoor environmental parameters in the Heating & Cooling (HVAC) system. As an internet-connected device, it is able to use intelligence from the sensor data combined with our software platform to reduce energy consumption and improve indoor air quality. Our products connect to and control HVAC systems in new construction or existing/retrofit applications. VEC: Fascinating. I understand that Haven has already met success in uses at home. Could you tell me a little more about its journey? Kevin: Back in 2015 we launched the concept of a wearable air quality monitor on Crowdfunding sites such as Indiegogo and Kickstarter. Soon after we were honoured by innovation awards from Popular Science and Time Magazine. Along with the positive press came some critical feedback that the product did not directly solve the problem of exposure to air pollution. After internal reflection and significant research, we decided to pivot and in 2017 created a new product called Haven. It focused on the indoor environment with the key difference being that we could work towards directly controlling indoor air quality by adding a layer of intelligence on top of the HVAC system. VEC: And when did this new product go live? 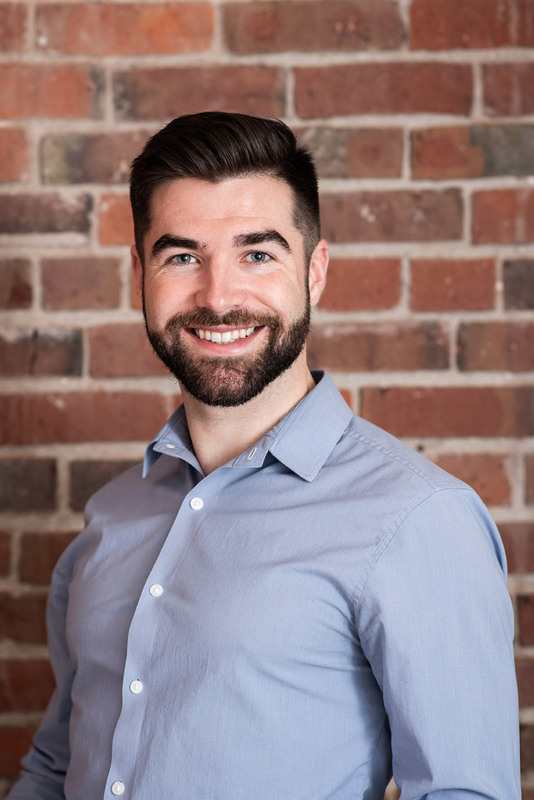 Kevin: Our professionally-installed Haven product has been publicly launched for one year and has been very successful in a short period of time, in part thanks to partnerships with the biggest heating & cooling companies. VEC: Which others clearly recognize, since you are now looking at larger-scale commercial applications. I understand Haven has seen some success in leveraging new and emerging technologies? Kevin: Typically, air quality monitors would cost around $100,000 and were only used by laboratories, research institutions, or manufacturing/clean rooms. Haven is a huge step forward in technology and affordability. It is possible only as of recently because of a reduction in the cost of electronic and optical components that we use to build our laser particle counting technology, flow sensing technology, and internet-connectivity radios. As for integrating newer tech, we will be releasing our commercial product with the newest long-range cellular technologies – LTE-M & NB-IoT – that allow for a frictionless installation for building operators. VEC: Now that TZOA is building on Haven’s reception and success in household applications, what is next? Kevin: Since air pollution, climate change and global warming are all intertwined and part of TZOA’s mission to help solve, we have been researching ways for Haven to reduce energy consumption, greenhouse gases, and the cost of operating HVAC systems in addition to improving health. We were approached by a few commercial building owners interested in piloting Haven to improve indoor air quality, which led us to discover that commercial HVAC systems operate in an opposite manner to residential homes. Kevin: Well, these systems are typically always on during the day and provide ventilation based on maximum occupancy, which isn’t always the case. We are now working on a building management system (BMS) integration and a first-of-its-kind software platform that will act as a tool box for commercial building owners and property managers to reduce energy consumption, improve indoor air quality and be notified of HVAC issues in real-time. VEC: How long will the Haven pilot at the City of Vancouver last for, and what are you hoping to achieve through this pilot program? Kevin: The City of Vancouver pilot will last through 2019. The interior space of many commercial buildings often gets repurposed or renovated, which can drastically change the indoor air environment. The primary project goal is to use our technology to conduct automated indoor air quality assessments of a high-occupancy interior space and gain insights into the space usage and HVAC efficiency. VEC: And could you tell us a little bit about how it works to make these City buildings smarter? Kevin: Our devices are installed in the air ducts and can detect VOCs, PM2.5, CO2, Flow (air velocity), Pressure, Temperature & Humidity. The data from the sensor hardware is continuously sent to our cloud database for analysis in real-time. This pilot is unusual for us because the primary purpose isn’t to report on indoor air quality levels; instead, we will focus on refining our algorithms to modulate the HVAC ventilation system to improve energy efficiency without sacrificing human health. The outcomes will be shared with the building operators as suggestions on how to improve the HVAC operation & spatial utilization. We are excited about this partnership because we have the opportunity to gain insights from many different stakeholders and a large and diverse portfolio of real estate to deploy into. VEC: Ahead of this partnership with the City, do you have a good idea of what makes your new strides into the commercial market different from household applications? Kevin: First off, both commercial and household building owners want the same thing — air with the least contaminants, at the right temperature, at the lowest price point & while reducing their energy consumption. That said, commercial building operators are liable for the health of their workers and want the highest-paying tenants, so they go to additional lengths to ensure their spaces contain clean air while minimizing the carbon impact. LEED certification is a good start, and our Haven product can be used towards LEED points. However, this can be taken much further. Secondly, Commercial HVAC systems are more complex than residential systems, have different occupancy zones, and move much more air. Our commercial Haven product needed to be engineered to work within these complicated environments. Finally, our residential Haven is a world-class IoT device that uses both Bluetooth & Wi-Fi for secure provisioning & connectivity. This is appropriate for home networks, but is not compatible with commercial building systems. As mentioned earlier, we looking to solve this by using newer wireless tech – LTE-M & NB-IoT. VEC: What is next for TZOA and Haven? Kevin: Right now at TZOA, we are looking forward to finishing development and publicly launching our commercial Haven product. Commercial buildings have similar construction and HVAC systems all around the world, so we are excited to expand into new geographic areas such as Australia, China, Hong Kong and Singapore. This will eventually include government, health care and education buildings. We believe this expansion into the global commercial real estate market will allow us to positively impact public health and the energy consumption of billions of square feet of indoor space. Wrap Up: We at the Vancouver Economic Commission are wishing you all the best with the pilot and look forward to hearing about the exciting results in a few months. For more information about TZOA, visit their website. 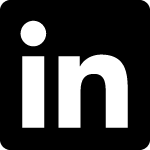 Connect with TZOA on LinkedIn. To learn more about the Green & Digital Demonstration Program refer to this page. To meet its participants, both past and present, refer here. Thanks to Kevin R. Hart (CEO & Founder, TZOA) for contributing to this post.